Connecticut - Scott D. Bailey of Griswold, a veteran who developed post-traumatic stress disorder after a motorcycle accident more than three decades ago, was one of three patients in the waiting room Wednesday afternoon at the region's only medical marijuana dispensary on the first full day that the facility was able to fill cannabis prescriptions. For Bailey, who said he previously had been using marijuana illegally to treat his PTSD, the opening of the Thames Valley Alternative Relief dispensary was long awaited and much appreciated. He expects to max out the monthly state limit of 2.5 ounces of medical marijuana. "It relaxes me and helps keep me from reliving the nightmares I've faced," Bailey said. Bailey, badly burned in the accident and, according to his wife, not given adequate care at the Naval Submarine Base hospital, said he has been arrested twice for possession of marijuana, which is the only thing that relieves his condition. "The last time, I was told if I was arrested again, they would throw the book at me," said Bailey, who is retired and receives disability benefits. Laurie Zrenda, co-owner of the Route 32 dispensary in Uncasville, said Bailey will never have to worry about being arrested for the possession of medical marijuana. Registered users of the drug – who can receive it only if they have certain specific debilitating medical conditions including cancer and multiple sclerosis – are exempt from arrest as long as they follow guidelines on where and with whom they can use it. Regulations, for instance, prohibit its use in the workplace or in the presence of anyone under 18 years old. Zrenda said it's also easy for police to spot legal marijuana from the illegal variety because regulations require the drug to be preground to ensure a homogenous product. Marijuana with buds still intact likely mean it is the illegal product, she said. "They just want to get it in a safe, legal way. ... It's lab-tested; they know what they're getting," Zrenda said of her patients. "They're tired of being a criminal." Zrenda, a longtime pharmacist, had expected the dispensary would host its first full day of filling medical marijuana prescriptions Tuesday after getting the go-ahead late in the day Monday to begin selling the product. The office quickly filled about two dozen prescriptions. But a computer glitch kept the office from dispensing marijuana Tuesday, though Zrenda could consult with patients and sell vaporizers and bongs. The glitch resulted because of a software problem that kept the dispensary from being able to connect to the state's prescription-monitoring system, Zrenda said. "This is incredibly frustrating," one Mystic patient, who didn't want to be identified, wrote in an email to The Day after being unable to fill his prescription Tuesday. The patient pointed out that some people had been paying an annual fee of up to $100 for a medical marijuana card they had been unable to use over the past two years as the implementation of a law permitting the legal dispensing of the drug slowly was being implemented. "Profit from pain is big business," said the Vietnam veteran, who suffers from PTSD. "Why the state wasn't more benevolent and proactive in helping those with hardships is beyond me, because the very reason for this program is to ease people's pain." 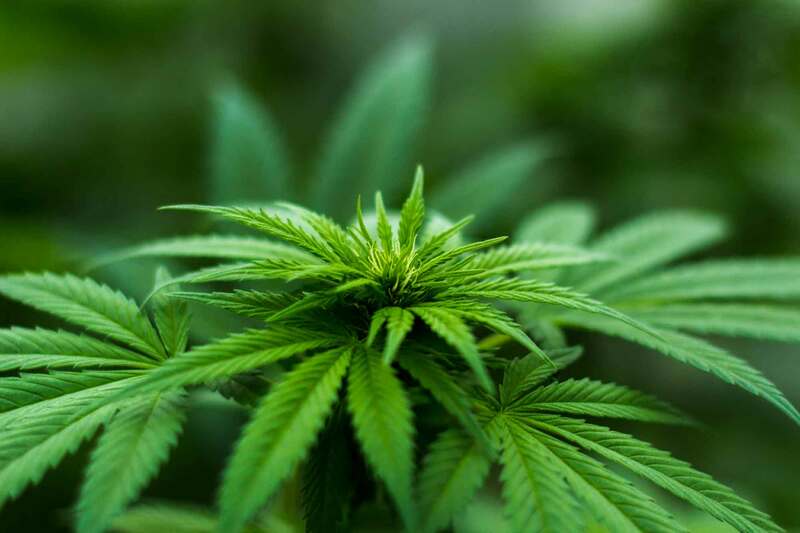 In the past few weeks, Zrenda's office has consulted with about 120 medical marijuana users, and the dispensary currently has a list of about 200 people eligible to buy there. Zrenda estimates that 95 percent of the patients she has seen already use marijuana illegally. "That surprised me," she said. The maximum 2.5-ounce supply of marijuana currently costs a little more than $1,000 and is not covered by any medical plan, but Zrenda is expecting the price will drop when more suppliers come on board. Only one of the four state-approved medical marijuana suppliers is up and running currently, but she said another grower is expected to have product available in October, while the other two won't be ready until December or so. Most people were buying only about 1 ounce initially to test out the effect, Zrenda said, because different strains of marijuana can help with different symptoms, including nausea, pain and loss of appetite. The dispensary currently doesn't have any edible marijuana available. Medical marijuana also is not available to children, which one mom learned when she dropped by with her young son to ask Zrenda about the possibility of treating attention deficit hyperactivity disorder with the drug. 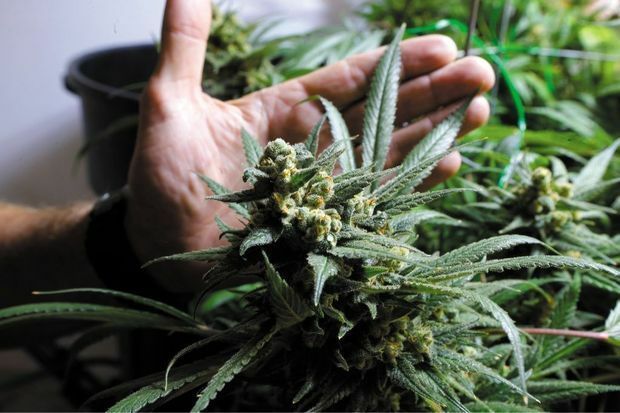 "That's so stupid," she said after learning from Zrenda that marijuana has shown some promise with ADHD patients but Connecticut had not approved its use for that condition, even in adults. Patients in the waiting room Wednesday talked freely about their medical marijuana use, but most didn't want their names used for fear of repercussions at work. They said finding a doctor who is willing to write a marijuana prescription can be difficult, and one patient said he had to travel all the way to Monroe to get one. A website listing medical marijuana doctors in Connecticut showed only three offices in the state currently filling prescriptions. "I think this is a really great thing for them," said the wife of a cancer survivor. Without cannabis, she said, her husband had no sensation of hunger and his weight was dropping about 6 pounds a week, potentially forcing him to use a feeding tube for the rest of his life. After an operation to take out part of his esophagus, he had only a 10 percent chance of survival, but he has now been cancer free for three years. "Thank God for marijuana," she said.